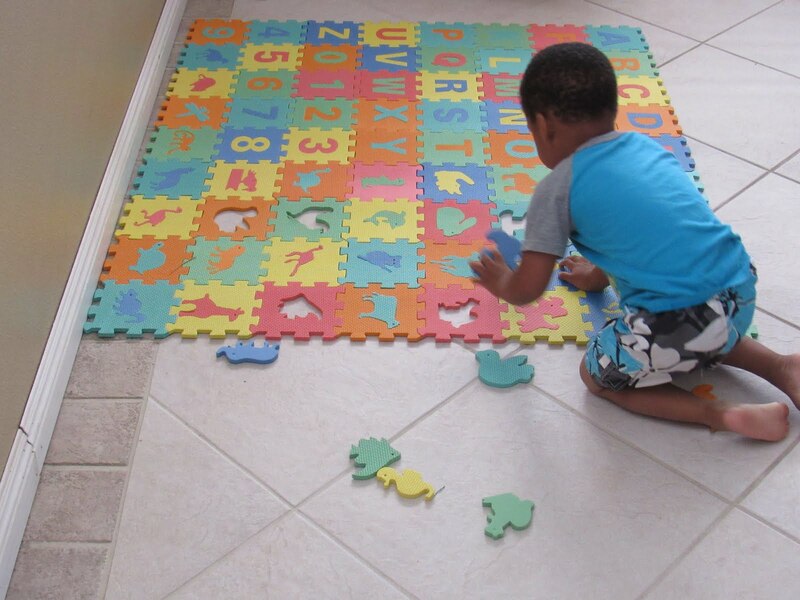 My kids love puzzles and I love saving money. At my last dollar store trip I found these awesome letter mats. I bought two one with animals and one with letters and numbers. I had the kids assemble it then KJ removed all the animals put them in a pile and put them back. 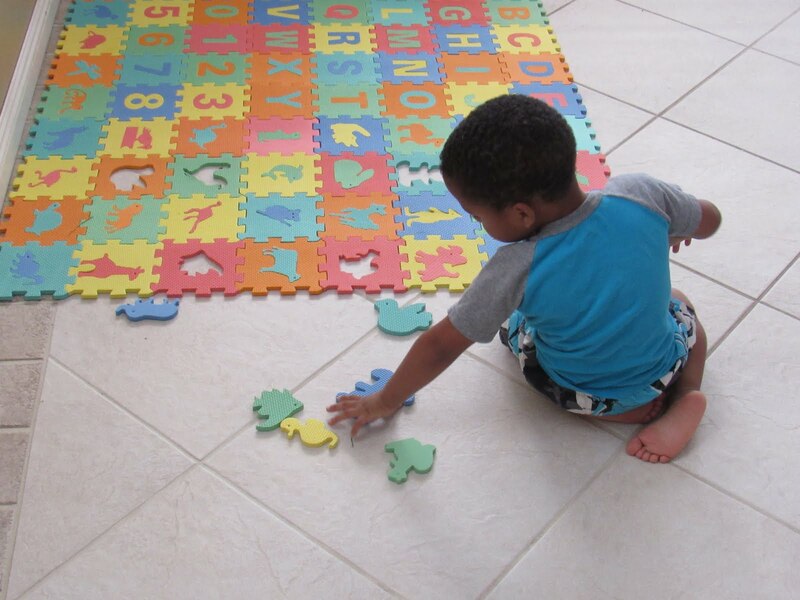 This is great not only for his fine motor skills but also for his logic development. 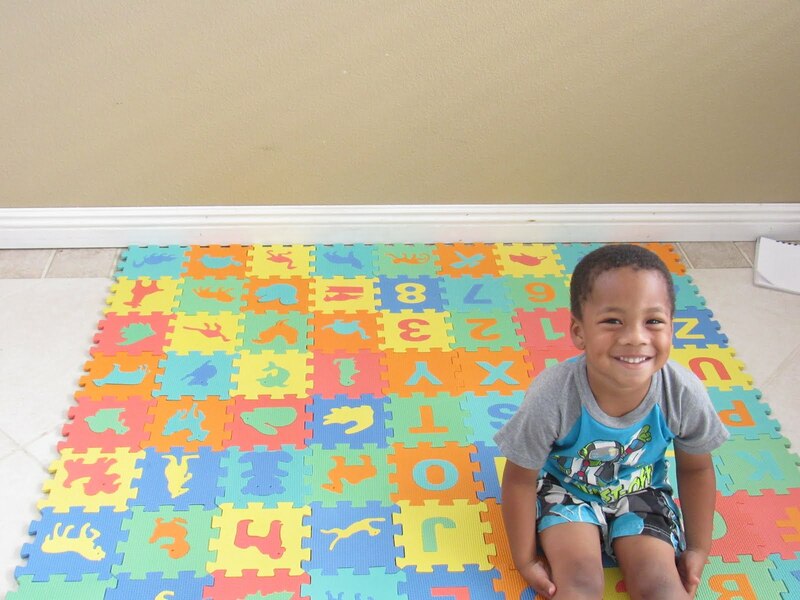 As you can see he was pretty proud of himself for creating and completing his own learning activity. I am a firm believer that if you include kids in planning their activities then what they learn will stick. He also picks pretty good activities for a 3 year old.